If you have the talent, join this competiton by sending your original lyrics to us. A panel of judges appointed by DXN will shortlist five (5) best lyrics. The participant of the shorlisted lyrics are the winners of this competition.The winners will receive a mystery gift and a certificate. 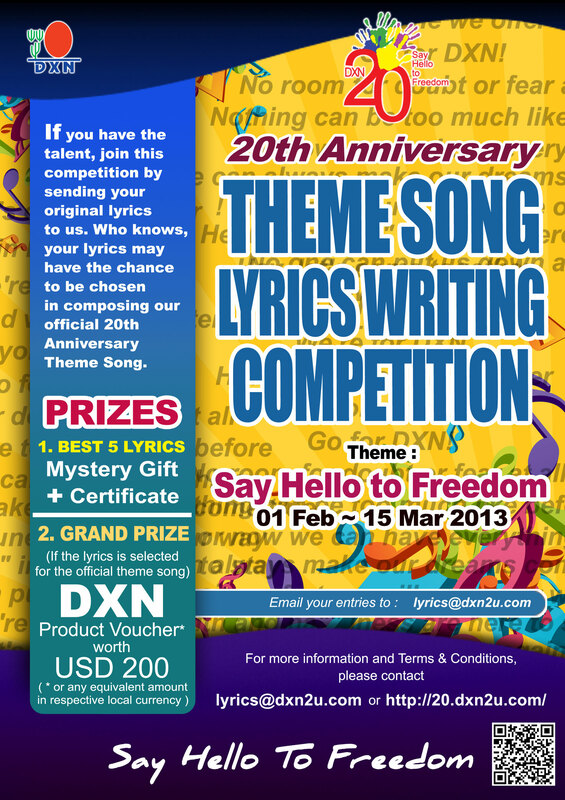 Should one of the five lyrics be selected and used as our official 20th Anniversary Theme Song, the lyrics writer will also receive DXN Product Voucher worth USD 200 (or any equivalent amount in respective local currency). 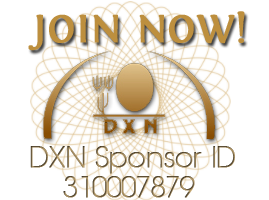 This competition is open to all existing members of DXN except employees of DXN, DXN subsidiaries and their families or anyone else associated with this competition.